The French band All My Memories already exists since 2011. One year after their formation they released their debut EP called Artefact. In 2013 Artefact was succeeded by All My Memories’ debut full-length, Intitled Legacy. In 2016, the creating of All My Memories’ second full-length got delayed due to several line-up changes. However, since June 2017 the line-up of All My Memories is stable: Loïc on vocals, Ramzy on drums, Florian on bass guitar and Clément and Nicolas on guitars. Due to this now stable line-up it was, again, time for All My Memories to work on Intitled Legacy‘s successor. Recently, this successor, called Umwelt, was released. 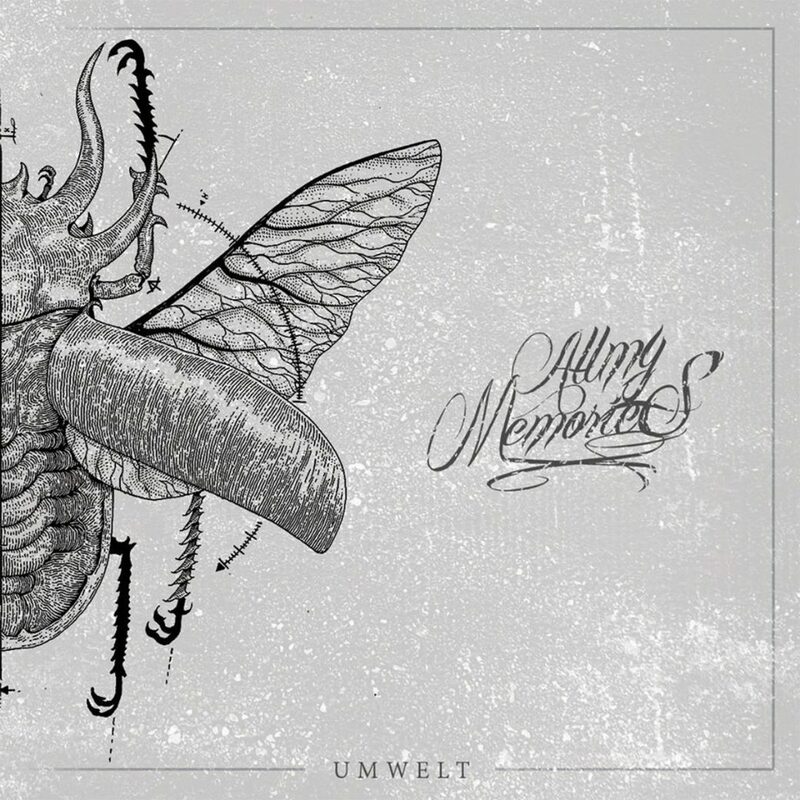 On Umwelt All My Memories delivers very heavy, modern-sounding metal, which is packed with variation and rhythm-changes. Take for example Behind The Wall, by the way also the track on which the only guest of this album can be heard: Anthony Doniak of Here Comes A New Challenger. Speaking about variation, the above track isn’t all of it. Regularly some electro influences can be heard on Umwelt. These for sure add an extra layer to All My Memories’ music. Some might think that it’s a bit too much, but in my opinion it fits very well. One example of this is Steeplechase. In Steeplechase, All My Memories also shows a perfect balance between heavy and melody. Another example in which this is very clear is Burn The Heaven. That I mention Burn The Heaven, Behind The Wall and Steeplechase is not exactly a coincidence, since those are my personal favorites on Umwelt. For me these three tracks are standing out from the others for a bit, but to be honest choosing was hard, since the entire album is very nice. All My Memories also shows a phenomenal dose of power. This can be heard in the very intense drums, the tight riffing as well as the very low, intense grunts which sometimes almost go towards pigsqueals. The backing vocals are also adding something extra. Whether they are screams, shouts or sometimes even a bit poppy, it doesn’t matter. Every time the style and moment is chosen wisely. This enormous dose of power can also be heard in how the band bursts into a track. Two examples of this are, of course after some seconds of introduction, Coward and the aforementioned Burn The Heaven. With Umwelt All My Memories for sure delivers a very strong, enormously pounding album. This is for sure a band to keep track of. There is only one thing left to do for me and that is recommending you to listen to this great album called Umwelt.